Thank you for visiting my home on the world wide web. Here you will find information on my work in the Senate, Senate Committees, and various other parliamentary activities. 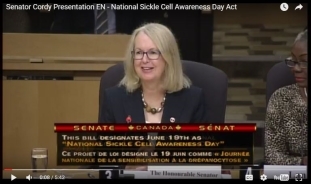 You can read my speeches and view my work both in and outside the Senate Chamber. I very much enjoy my work on Parliament Hill and the opportunity, in my capacity as Senator, to serve the Canadian people and to represent those from my home province of Nova Scotia. I hope that you will find this site useful and will visit often. Please contact me with any questions or concerns you may have. I look forward to hearing from you!